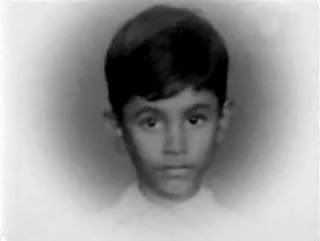 Avul Pakir Jainulabdeen Abdul Kalam was born on 15 October 1931 to a Tamil Muslim family in the pilgrimage centre of Rameswaram on Pamban Island, then in the Madras Presidency and now in the State of Tamil Nadu. 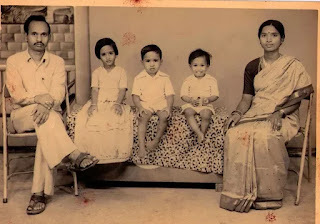 His father's name was Jainulabudeen, a boat owner, and his mother Ashiamma, a housewife. By his early childhood, Kalam's family had become poor; at an early age, he started working to supplement his family's income. After completing school, Kalam distributed newspapers to contribute to his father's income. 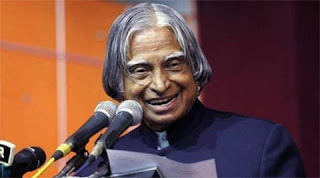 After graduating from the Madras Institute of Technology in 1960, Kalam joined the Aeronautical Development Establishment of the Defence Research and Development Organisation (DRDO) as a scientist. He started his career by designing a small helicopter for the Indian Army. 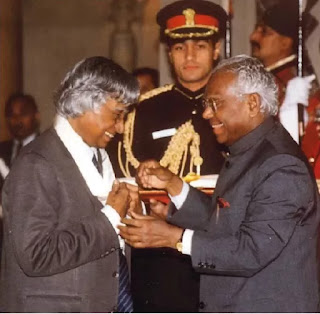 Kalam served as the Chief Scientific Adviser to the Prime Minister and the Secretary of the Defence Research and Development Organisation from July 1992 to December 1999. 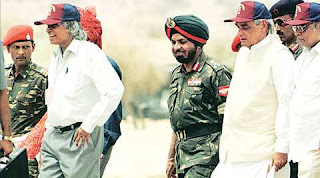 The Pokhran-II nuclear tests were conducted during this period in which he played an intensive political and technological role. 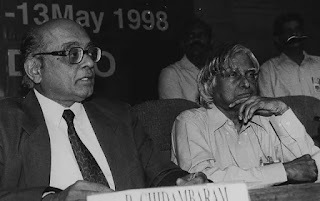 Kalam served as the Chief Project Coordinator, along with Rajagopala Chidambaram, during the testing phase. 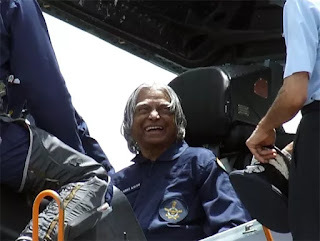 After leaving office, Kalam became a visiting professor at the Indian Institute of Management Shillong, the Indian Institute of Management Ahmedabad, and the Indian Institute of Management Indore; an honorary fellow of Indian Institute of Science, Bangalore; chancellor of the Indian Institute of Space Science and Technology Thiruvananthapuram; professor of Aerospace Engineering at Anna University. 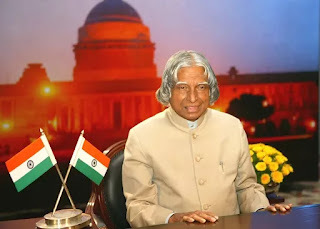 In May 2012, Kalam launched a programme for the youth of India called the What Can I Give Movement, with a central theme of defeating corruption. 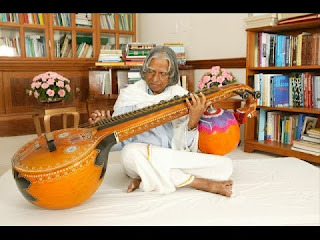 He also enjoyed writing Tamil poetry and playing the veenai, a South Indian string instrument. Kalam has received honorary doctorates from 40 universities. The Government of India has honoured him with the Padma Bhushan in 1981 and the Padma Vibhushan in 1990 for his work with ISRO and DRDO and his role as a scientific advisor to the Government. On 27 July 2015, Kalam travelled to Shillong to deliver a lecture on "Creating a Livable Planet Earth" at the Indian Institute of Management Shillong. At around 6:35 p.m. IST, only five minutes into his lecture, he collapsed. 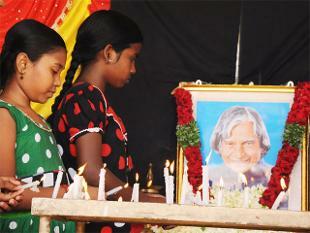 Despite being placed in the intensive care unit, Kalam was confirmed dead of a sudden cardiac arrest.